Vetted cleaners with years of experience. Discounted prices when book 2 or more services. Available on weekends, public and bank holidays. Covering Canary Wharf and other areas in East London. CANARY WHARF CLEANERS WELL ESTABLISHED CLEANING SPECIALISTS. We provide service for private residents, local estate agents and various property management companies and housing associations. Fully equipped cleaning teams, next day service available. We maintain and clean over 60 residential blocks in London. We use professional carpet cleaning equipment and products. 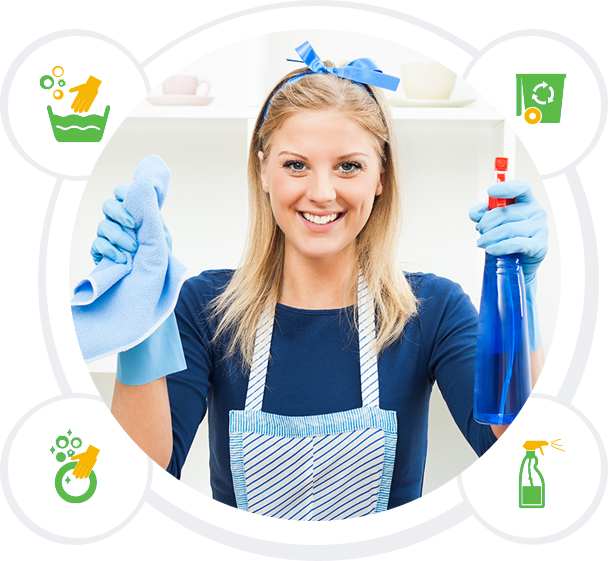 Trustworthy, friendly and experienced maid will sparkle clean your home. Porfessional and trained office cleaners for your premises. All year around get an amazing deals up to 30% discount. When our cleaning company was first born, it was much like a little baby-pink faced, innocent, exiting almost exclusively for the benefit of others. Since then, we were growing slowly but steady and this hasn’t changed at all, once we took off we always had a clear mission and vision, usually focused around fast problem solving or tailoring a better cleaning service for you. We naturally exceeding expectations and history have proven to all of us that lasting businesses are born from dedication to high character, high quality and high customer loyalty. Crucial point is that we had considered every customer critical. Our business model is founded on three basic beliefs: respect for the individual, service to customer and striving for excellence. But undergirding of all three is the commitment to act with integrity. Rest assured our end of tenancy clean is fully guaranteed. Our carpet and stain removal technicians will deliver. We maintain many residential blocks and their communal areas clean. We will send same cleaner each time on many cleaning services. All services are provided in timely and professional manner. We thrive to provide quality services across East London. Customer satisfaction is top priority, solution-oriented approach. Famous for being the most recommended cleaning company in the East London, the City area Canary Wharf Cleaners is now growing rapidly in popularity. Our company activities itself are located on the Isle of Dogs in London’s Docklands. Seen as the ultimate cleaning provider we served clients in few popular luxurious buildings in the London City, E14: Ontario Building, New Providence, The Landmark, Discovery Dock, Baltimore Tower, Mill Harbour and of course Pan Peninsula. Traditionally we have developed our services for the residential sector and we are now considered a hub for many clients in Docklands area. When you’ve got to explore the whole of our cleaning company, you do rarely consider limiting yourself to only one service when it comes to cleaning. This may be true if you’re booking only carpet cleaning. But if you’re taking our end of tenancy cleaning package you get to experience 5 starred performances from our move out cleaners. In fact, they are ready to impress, then you take a look at your cleaned place and you will be surprised. Here you can make your request for cleaning. Providing letting agents, Landlords and Property Management Companies with following types of cleaning services. Move out and move in cleans. Holiday apartment cleaning and serviced apartments. Communal areas and residential block cleaning.